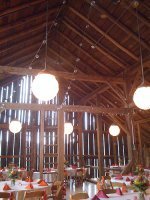 Where do you begin when your whole wedding is DIY? 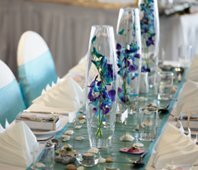 Blue Orchid Centerpieces would look fab for your theme. My wedding is going to take place in Saint Petersburg, Florida. I'm not sure where because I haven't found a venue yet. But it has to be somewhere that allows you to bring food in because I'm doing the food myself. My date is May 15,2015. I'm expecting about 125 guests. And I'm so lost on where to begin. All I have is the theme will be Paradise of Love. So its going to have an island theme. The colors are Cornflower Blue, Orchid Purple, Silver, and White. I'm trying to find artificial Orchids, but No luck. 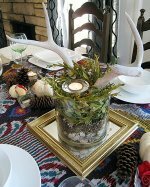 The centerpieces will be simple. A lot of candles and flower arrangements. I'm not very arts and crafty so I'm worried that this DIY will be a total disaster, but I'm on a tight budget and its all we can afford. My budget is $2500 and for food its $600. Sounds like you have already started :) most couples start with working our their budget which you have already done. Next, look at where you are going to spend your money. Make a list of everything you need to buy in your $2,500 budget. 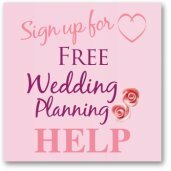 Sign up to my free 7 week wedding planning course and print off your week 1 checklists. Finding a venue and booking it, is a priority. I noticed that The Sunken Gardens offer wedding ceremonies from $750 but they only allow approved caterers. The St Pete Beach Community Center does allow you to cater your event yourselves and is $2000 for 8 hours on a Fri/Sun. I found these artificial orchids on Amazon and they have many other colors too. Use tea lights for your candles but check with your venue before you buy them as they may not allow naked flames at the venue. Using blue tulle for table runners is also a cheap way to add color to your reception. 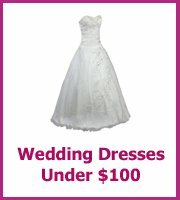 Hope that helps get you started on your wedding plans? If I think of anything else I will add it in the comments. Best of luck and looking forward to hearing more about your plans.